As an opiate painkiller, hydrocodone is taken by many in the United States. However, the substance is also expensive, especially if required for long periods. This can sometimes lead to people choosing to take expired medication, rather than taking a newly purchased drug. So does taking an expired drug affect you? Is hydrocodone ER a drug that can expire and does effective storage change its shelf life? What is the Shelf Life of Hydrocodone? What are the Possible Dangers of Taking Expired Hydrocodone? How to Keep Hydrocodone Properly? How to Dispose of Expired Hydrocodone? Like all drugs, opioids have an expiration date. However, according to Harvard Medical School, 90% of drugs are perfectly fine to use for up to 100 years after they have expired. Despite this, it is not recommended to take drugs after their expiry date, as even a 10% chance could lead to an unwanted situation, with unpredictable side effects of hydrocodone. In this 10% of cases, expired hydrocodone acetaminophen goes through a chemical balance change due to aging, rendering it a danger. How Long Is Hydrocodone Good For? The shelf life of hydrocodone is between 12 and 36 months. However, in many cases, it can last far beyond its expiry date. Despite usually being safe, expired Hydrocodone always comes with a slight risk. An old drug can have unpredictable effects so it is better to look for physical signs that the substance may be going bad. For these reasons, it is better to take caution and only consume pure hydrocodone as well as the combination drugs when they are within expiry dates. On most occasions, there is no danger from taking expired hydrocodone. However, drugs can sometimes become less potent. This leads to the person taking more and more of the medicine, thus getting used to the larger number of pills consumed every day. Taking more of the substance is part of the cause of hydrocodone overdose deaths. The side effects of hydrocodone when expired can be unpredictable and dangerous. However, it is far more likely that danger will come from a possible overdose or case of addiction. Keeping the medication properly will ensure it lasts longer and to the full extent of its lifespan. The substance should be stored in a cool, dry place at room temperature. This is because excessive sunlight and moisture could alter the composition of the drug. In addition, extreme heat or cold could do the same. 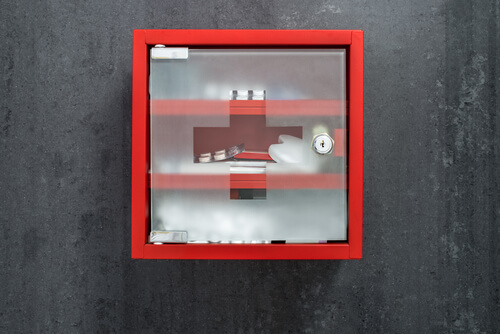 Hydrocodone/chlorpheniramine er suspension should also be stored in the same manner. The substance should also be kept away from children and water, such as in a bathroom. It should always be locked with a safety cap. Mix the medication with an unpalatable substance, such as dirt or cat litter. Ensure you do this without crushing the tablets. Place the mixture a sealed plastic bag, usually zip top. Throw the bag into your household waste bin. Remove all personal information from the empty medication container. By completing this process, it ensures that people who have not been prescribed the drug do not get hold of it and use it for an illegal high. 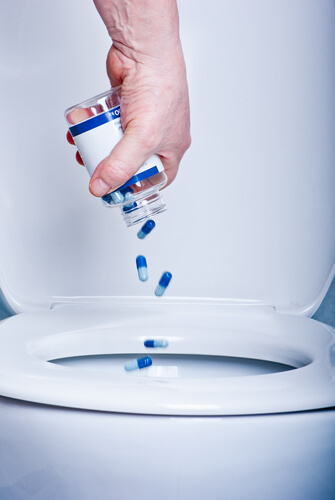 Other options for disposing of old expired medication include flushing the medication or take back services, where the state disposes of the drug for you. Taking a drug after expiry date can lead to its effects being lessened. This often causes people to take more of the substance and quickly become addicted to it. Because of this, it is important to check hydrocodone expiration and to look out for the signs of addiction to opioids. If you do become addicted to this medication, there are a number of types of treatment programs available. For the most suitable treatment for you, contact a medical professional. They will help guide you through each option, and to weigh up the pros and cons of each. For further information, a second opinion or to find out where to get help for you or your loved one, call our hotline at (888)-459-5511. All the phone calls are free and confidential.